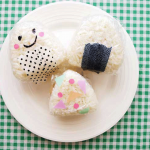 This meal for little ones is a good source of protein and all the nine essential amino acids, vitamins A, D & E & B12 (eggs) + carbohydrates. Cook the rice according to packet instructions, adding the peas for the last 5 minutes of cooking. Drain and set aside. 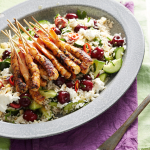 Heat a large wok or non-stick frying pan over a medium heat. Add 1 tablespoon of olive oil and cook the onion and garlic until soft and fragrant. Add the bacon and carrot, and cook for a further 5 minutes. Add the peas and rice to the frying pan, stir gently then cook on a low heat for 3 minutes, stirring occasionally. Remove from the heat. Whisk 2 of the eggs with 1 tablespoon of water. Heat another tablespoon of oil in a small non-stick frying pan over a medium heat. Pour the beaten egg into the pan and stir, using a spatula, in a figure 8 motion. Cook for 1–2 minutes, until the egg is almost set before folding the omelette in half and cooking for a further minute. Flip over once the egg is completely cooked. 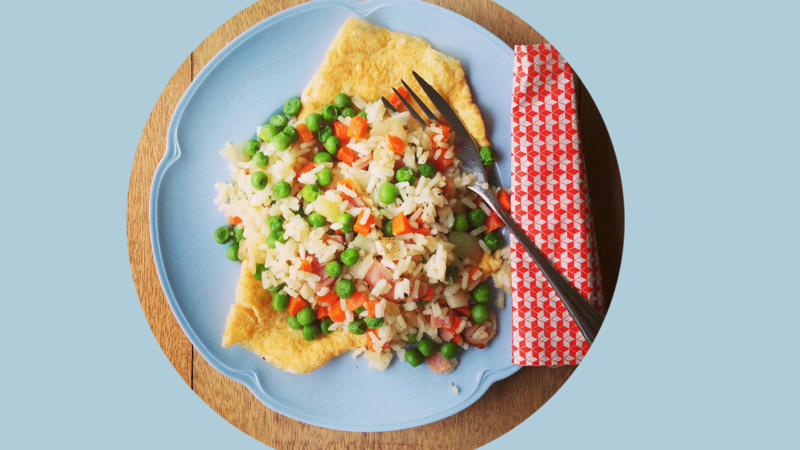 Repeat 3 more times (or 4, if making a single-egg omelette just for baby) with the remaining eggs and serve with fried rice. Note: Cook eggs through completely for babies under 12 months and pregnant mothers. 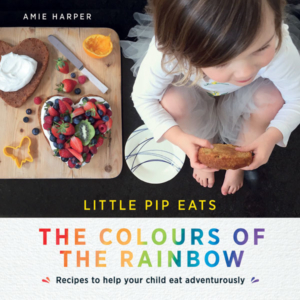 This is an edited extract from Little Pip Eats The Colours of The Rainbow by Amie Harper, Published by Murdoch Books, $19.99, available now. 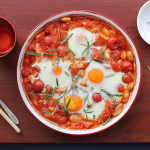 A healthy and quick breakfast (or dinner) recipe that the whole family can enjoy.